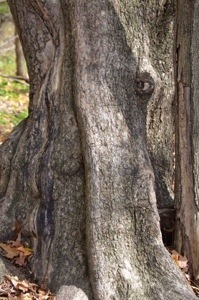 An Elephant was seen in the bark of this old tree by my friend, and for that I am grateful… The Wonder all around us, the gifts we pass by, the love we ignore and the embracing of life we miss, for me is all summed up in this picture of the elephant in the bark of this tree! A tree, with stories too numerous to tell (Not to mention it can’t talk) but it certainly can speak loader than words! Thanks Bob for posting an insightful picture and sharing a life lesson with many!